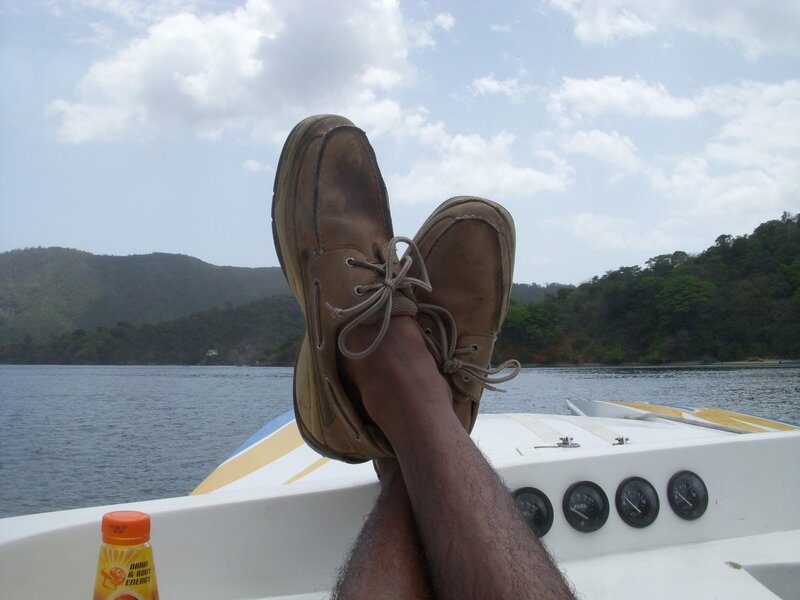 Liming: (verb) hanging around, usually in a public place with friends, enjoying the scene (Trinidadian). With my first full day here complete I have a full understanding of the Trinidadian term: Limin’. Today started off with a trip to the Trinidad & Tobago Yacht Club. We got the opportunity to take a speed boat out into the water. 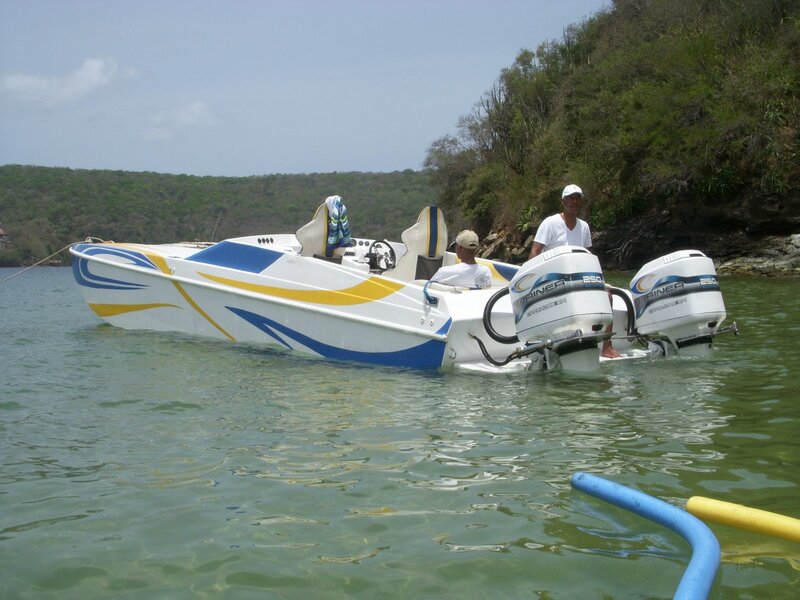 Each year Trinidad & Tobago hosts the Great Race a speed boat race between the islands. The boat we used today was the first boat to break 100mph in that race. Needless to say we were flying. We raced the boat around the tip of the island to the point where Trinidad and Venezuela meet. Only separated by about 10 miles, Venezuela is actually closer in distance to Trinidad than Tobago. 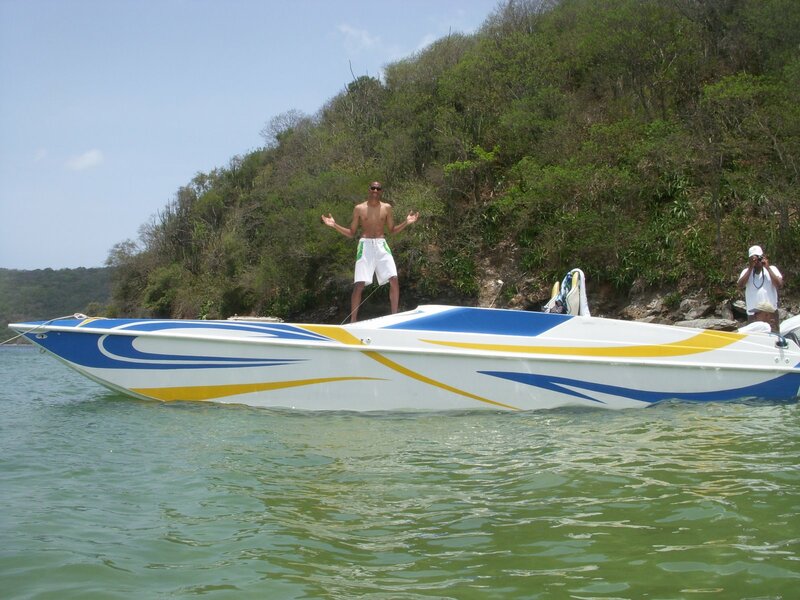 After a quick glance at the Venezuelan coastline we parked our boat at tucked away beach and the limin’ began. For the next couple of hours we relaxed at the beach taking in the sun and not quite doing much of anything. 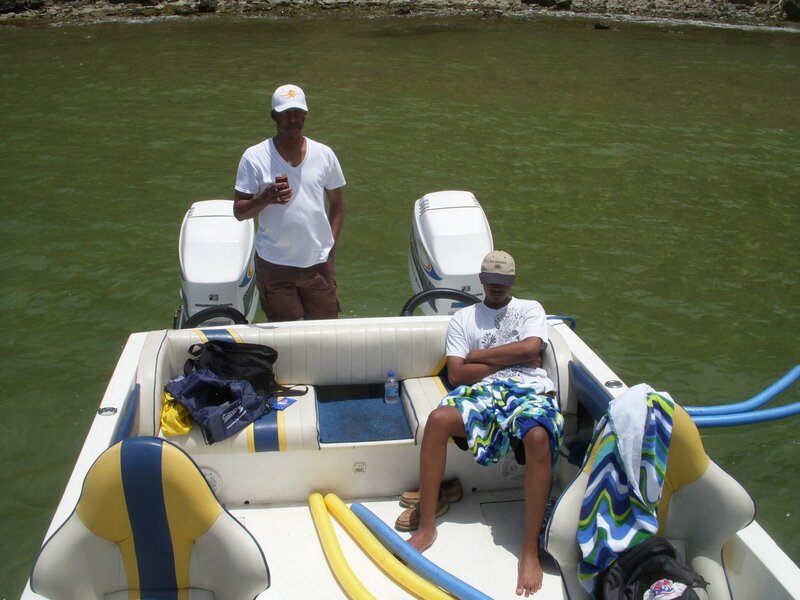 Re-energized by a quick nap on the bow of the boat and another dip in the water we set sail back for the yacht club. With the wind in may face and the ocean mist spraying me I completely understood Andy Samberg’s excitement in the SNL Digital Short, I’m on a Boat. To top off my day of limin’ in the caribbean I got back to the house and relaxed in the hot tub on the balcony overlooking the water. Life is good. Hi Jason…I’m enjoying your trip with you, thanks for sharing…Belinda!!! !